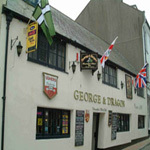 Dating from 1360, the oldest pub in Ilfracombe is a traditionalist's dream. Wooden beams, large fireplaces and, if you’re lucky, a ghost or two. Darts, dominoes and decks of cards are our locals' favourites, and being free of fruit machines and juke box, the pub has a cosy and warm atmosphere. For the comfort of all our customers, please switch off your phone! 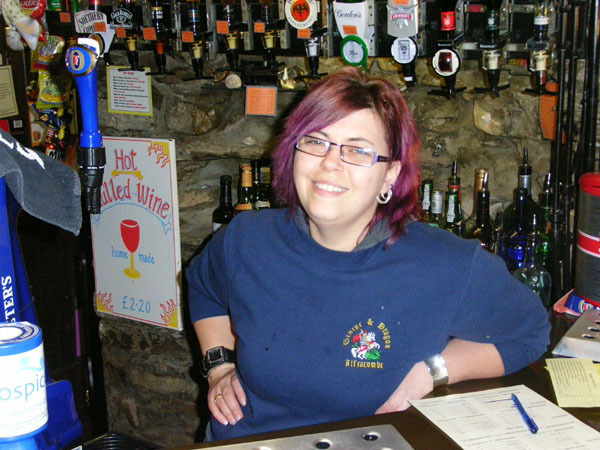 Welcoming staff will serve you a selection of cask ales, keg beer, stout, cider and lagers. Premium and branded spirits along with a healthy selection of whiskies are available alongside our well stocked wine cellar. We host fund-raising quizzes with tasting rounds regularly on a Tuesday, and other activities are organised throughout the year. See our Events page for further details.